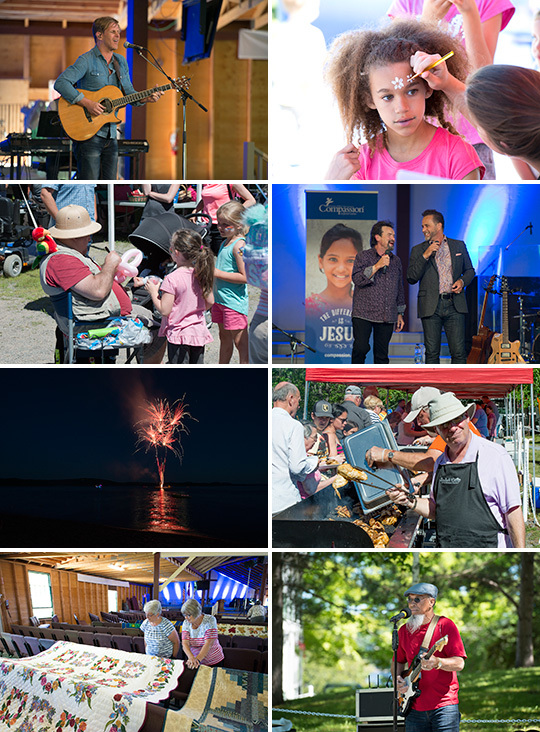 Super Saturday launched Beulah Family Camp 2018 with great weather, delicious food, a packed day of family activities, music concerts, and wrapped up with a truly spectacular fireworks show at the Beulah beach. Friday night’s Prayer Covering was a powerful time of intercession. I was privileged to share in a prayer triplet with someone who was attending their first Beulah Camp as a new cottage owner and with Vesta Mullen, our Curator for the Mullen Heritage Archives which will be open this week Monday through Saturday from 2:00 p.m. – 4:00 p.m. Vesta has attended Beulah Family Camp for 91 consecutive years – amazing! The practical and engaging messages of Kyle Ray on the theme of our “Prenatal Purpose” will continue through Wednesday evening as he passes the baton to Mike Hilson for the remainder of the week. 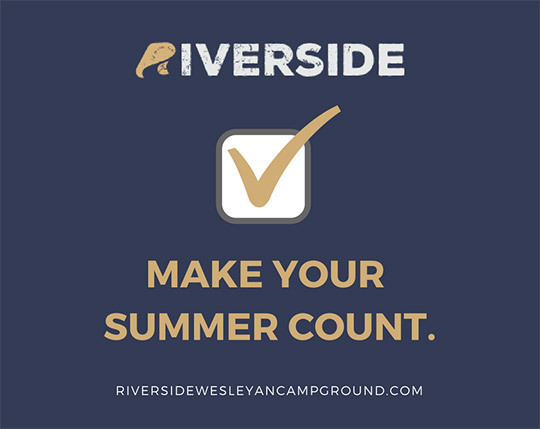 A detailed schedule of all events is available online and camp handbooks may be picked up from the Beulah Office. It would be nearly impossible to express thanks to all those who make this unique and effective Kingdom experience possible. 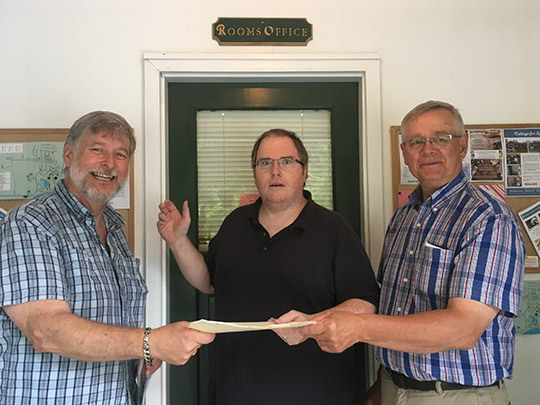 The picture above captures the spirit of these leaders as Denn Guptill (Cornerstone) concludes 22 years of service as Rooms Coordinator (booking onsite accommodations during Beulah Family Camp). Denn followed Bruce Cheney’s (Caretaker) 11 years in this position. They are gladly passing the baton of this key role to Greg Hanson (Kings) and from the look on his face, he has done the math and is trying to figure out if he just committed to a 33-year (plus 11) or a 44-year (x2) numerical sequence in this life sentence! 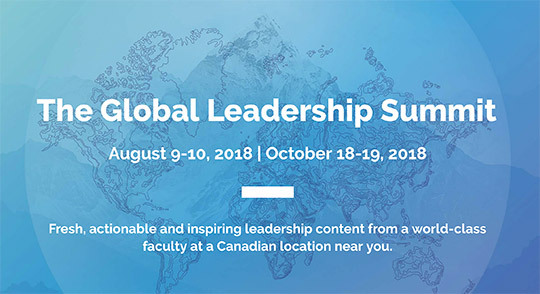 As stated in a May edition of IMA, the future of camp ministry is in question in many places across North America – but not on the Atlantic District! And apparently not for the fastest growing church in America either. I was privileged to be with the DS’s at a WIF sponsored event last September at Crossroads in Cincinnati. 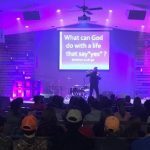 With attendance approaching 37,000 weekly (source CT), Lead Pastor and Founder Brian Tome had this to say about the power of camp ministry, “In 2017, Crossroads purchased 400 acres of land to host camps for men, women, couples, and teens. We believe in great weekend services. But pound for pound – nothing matches the bigger impact of getting people outside their normal rhythms in the camp context.” Thanks, Brian. We’ve known this since 1894 and we couldn’t agree more! 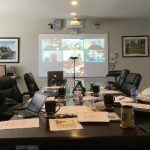 A very important feature of Beulah Family Camp begins this morning with the introduction of the first two of six District Core Values (Exploration Essentials – pictured above) as identified through a year-long process and approved by the DBA. These will be presented in the Monday, Tuesday, & Wednesday mornings (two per service) by myself, Seth Fancy (Kings), Mark Brewer (Crosspoint), AJ Plaizier (Yarmouth), AJ Thomas (Deep Water), and Denn Guptill (Cornerstone). 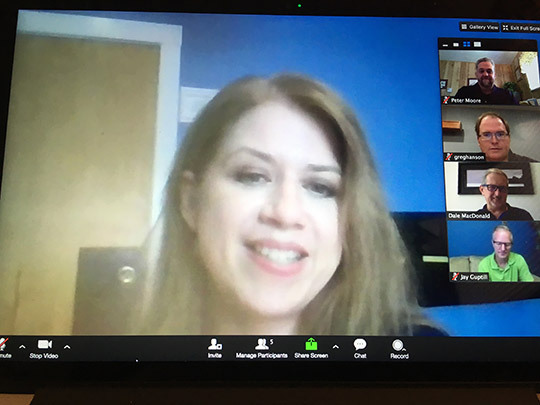 The DBMD Executive conducted three final Zoom interviews this week, including the new Children’s Ministry Director at Deep Water – welcome Jacqui Hill to a great team and an amazing church. Love is in the air! 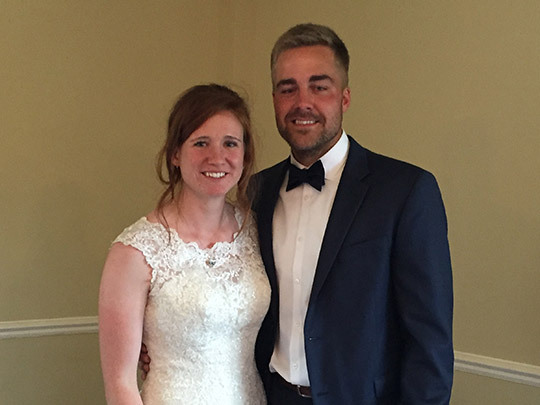 Congratulations to Mr. & Mrs. Mitchell & Breanna (Woodstock) DeMerchant on their June 23rd wedding! 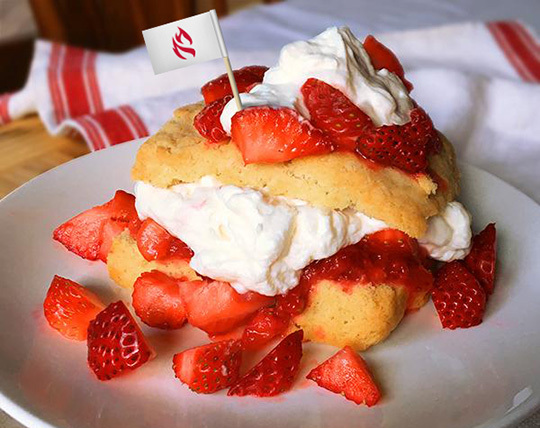 Come and enjoy a free Strawberry Shortcake on Thursday evening of Beulah Family Camp (July 12) following the evening service in the grassed in the area below the Tabernacle Main Entrance. 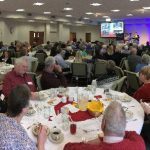 Those in attendance will be able to hear an update on several Kingswood University initiatives including KU Extended, purchase KU branded items and enjoy great fellowship.